The Forest School Association, through its trading company Forest School Trading Ltd, has entered into a collaboration agreement with a Chinese company called ISCA, a subsidiary company of Opal Consulting, to help take Forest School to China and to influence the quality of Forest School provision that is offered there. There is a growing interest in Forest School, and other forms of nature play, in China. This is very exciting given that China represents 20% of the world’s population. Many Forest School Association members, particularly trainers, have received enquiries from Chinese organisations asking how Forest School works and wanting to explore how it can be taken to China. Some UK based Forest School Trainers have already delivered Forest School courses in China and Forest School provision is just starting up, albeit on a very small scale. It is clear that the interest and momentum is building there. This interest in Forest School comes with the usual concerns about quality and how this may be recognised within China itself. The Forest School Association, the professional body for Forest School in the UK, has been approached as we are leading the way in setting professional standards and promoting quality in Forest School. China represents a wonderful opportunity for Forest School, starting as they are with a ‘blank sheet’. ISCA will take the Forest School Association to China as a known and internationally respected brand. ISCA (Forest School Association China) will essentially fulfil the role of the Forest School Association in China by promoting quality Forest School, setting professional standards and offering a membership platform for people and organisations. They will offer endorsement and recognition through their quality assurance schemes. 1. ISCA’s business model is based on offering a known quality product in China (The Forest School Association). They will protect this as it is their unique selling point. 2. The offer in China will be based on the Forest School Association’s intellectual property and expertise as a starting point. ISCA will seek Forest School Association input in their activities, particularly in the initial years. 3. ISCA will not be seeking to monopolise new Forest School businesses wanting to set up in China as this would limit growth. Their focus is on the membership platform and accrediting provision in China. They will help quality Forest School to spread as much as possible. The expectation is that Forest School will proliferate through multiple independent Forest School Providers and Forest School Trainers establishing businesses in China over the coming years. ISCA will have a role in bringing quality Forest School to China and they will act as an agent linking UK Forest School expertise with clients in China. In practice we expect this to mean that Forest School Association members will be invited to fulfil training and other consultancy contracts in China until such time as there is capacity from within China itself. To that end, the Forest School Association has invited Forest School Association Endorsed Trainers to express interest in cooperating to deliver quality Forest School Training in China. A ‘Forest School Association Endorsed Trainers China sub-group’ is being formed. This group will work together and share knowledge and experiences to help standardise the quality of the training offered in China. UK Forest School training cannot simply be transported to a different environmental and cultural context. The trainers will be responsive to the differing contexts to be found in China and in the knowledge that it is the Chinese themselves who will, ultimately, make Forest School fit their needs. The Forest School ethos, defined by the 6 principles, should remain the same. It is very possible that ISCA will ask for other forms of consultancy in areas relating to Forest School. The Forest School Association will signpost members to these opportunities as and when they arise. Where cooperation is required between consultants the Forest School Association will offer a platform for this to happen. Under the terms of the collaboration agreement ISCA will pay an annual fee that is based on revenues for the next 20 years. This is in exchange for use of the FSA trade mark and FSA intellectual property in China. It will obviously take some time for ISCA to get going but we expect this arrangement to generate revenues that the FSA can invest in developing our charitable purposes here in the UK. 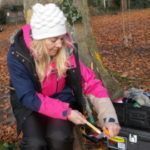 I am a forest school leader and wanted to know how I could get involved in this exciting progect? I am keen to offer my expertise as I have been teaching Forest School for a number of years.